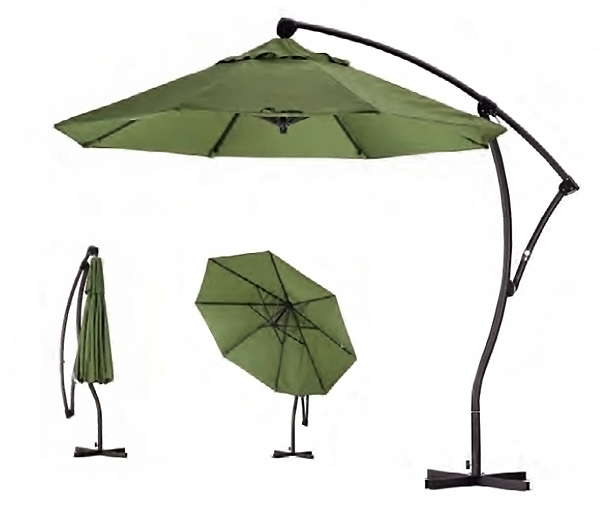 The California Umbrella cantilever patio umbrella is an exciting cantilever umbrella that opens up tremendous possibilities for any space. 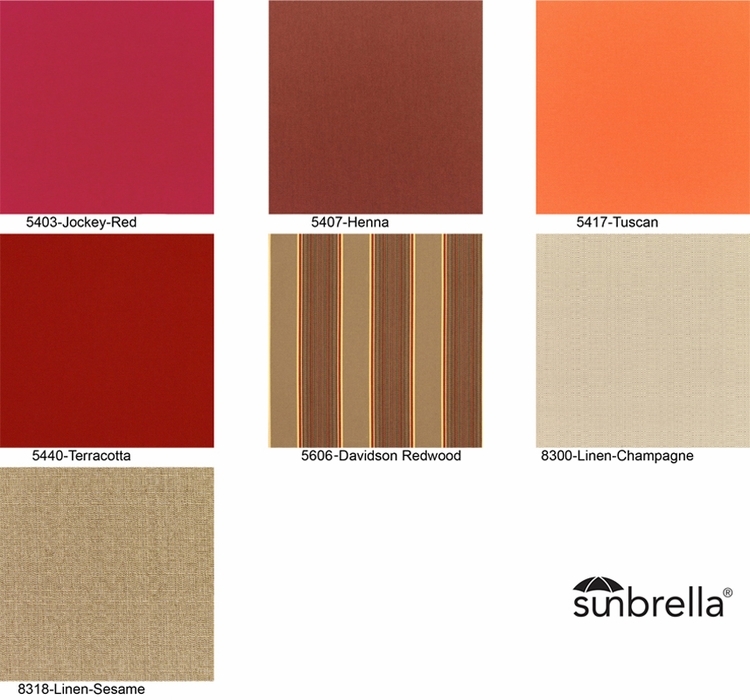 The spacious nine foot umbrella canopy tilts and turns 360 degrees to offer the most remarkable shade potential. 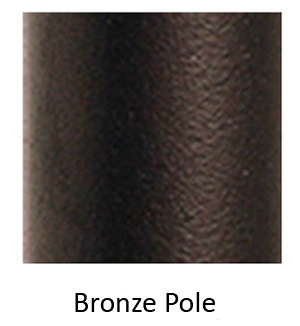 With a strong two inch diameter heavy-duty anodized aluminum pole, a stainless steel cable crank system and a standard base with pre-drilled ground anchor holes this rugged design is purposely built to stand up to the rigors of use. The California Umbrella nine foot umbrella canopy comes in a wide variety of colors and optional designs offering a high level of customization plus express color choices can be shipped faster so you can enjoy this beautiful cantilevered umbrella as soon as possible. 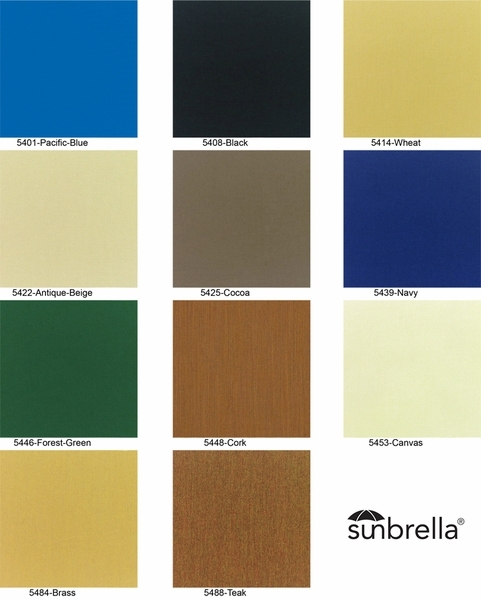 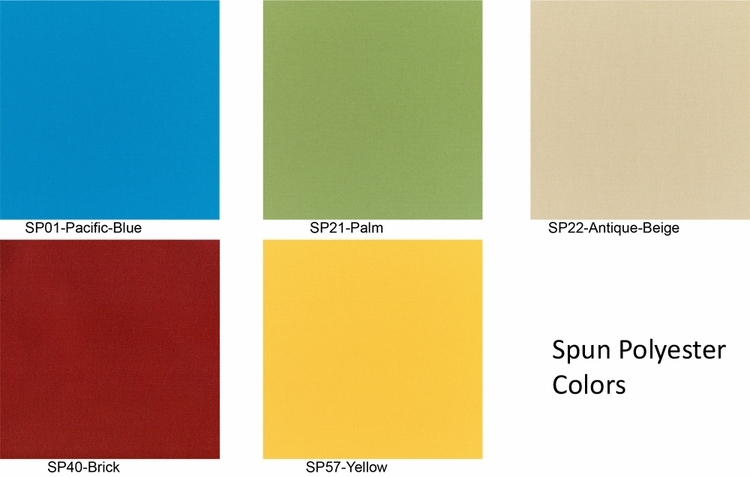 The umbrella is also available in a nine foot, solution dyed polyester umbrella canopy with four distinct and very affordable color choices that will please the eye as well as your budget. 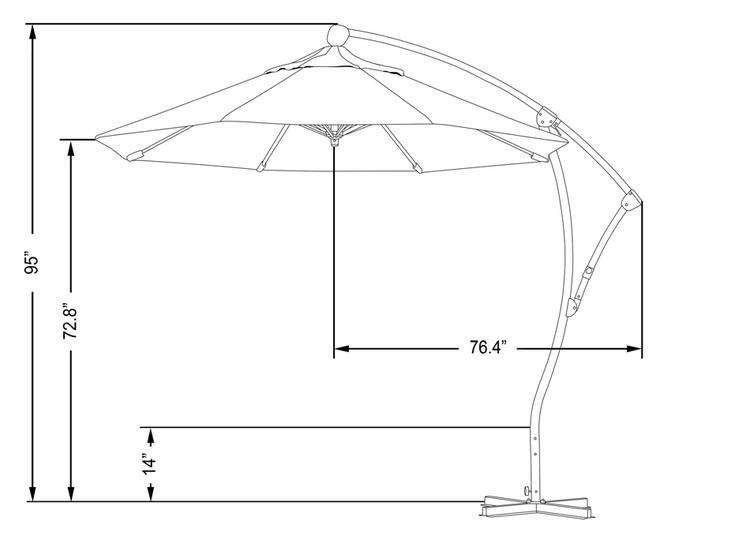 Please note that 100 lbs of free weight is recommended on the base if the frame is not anchored to the ground.